Turning away people with terminal illnesses? People with cancer, heart disease, Parkinson’s, Alzheimer’s, diabetes, cystic fibrosis, lung disease, multiple sclerosis, liver cirrhosis, pituitary disease, mental illness… old age? All these conditions and more are potentially terminal. Nigel Farage’s vision for Britain will be a society that’s nasty, selfish, judgmental, restrictive and mean-spirited. He doesn’t want people from Europe coming here to pick our strawberries. He doesn’t want seriously ill people coming here. He wants to restrict free movement across Europe – our continent, our Europe – making it as difficult for us to live and work in other European countries as it would be for citizens from other parts of Europe to come here. And why? Because EU migrants here are a burden? Hardly. The vast majority of EU migrants here are in gainful employment, contributing taxes, buying our goods and services, and setting up businesses that employ and serve us. Only a small minority of EU migrants here are on benefits, and then not for long. Most of them are young, fit, enthusiastic and working hard, helping our country to thrive. No migrants can come here and start claiming benefits immediately, and there is no evidence that any come here just for benefits. They come here to work; they contribute much more than they take, and their contribution is helping to pay off our national debt. Many British businesses would close without EU migrants here – businesses that employ them, and many businesses that were started and are run by them. What’s the problem about ‘free movement’ of people across our continent? Would we want to restrict movement in our own country, between London and Leeds; Watford and Warrington; Birmingham and Brighton? No? So by the same logic, why does it make sense to restrict movement between London or Leeds and Bonn, or Paris, or Warsaw, or Copenhagen? We should be making it simpler, not harder, for people and businesses to freely and easily explore and expand and thrive across all of Europe. That means it works both ways. We can go there, they can come here. And actually, the numbers are well balanced. About the same number of Britons now live in the rest of Europe as the number of citizens from the rest of Europe who now live in Britain. 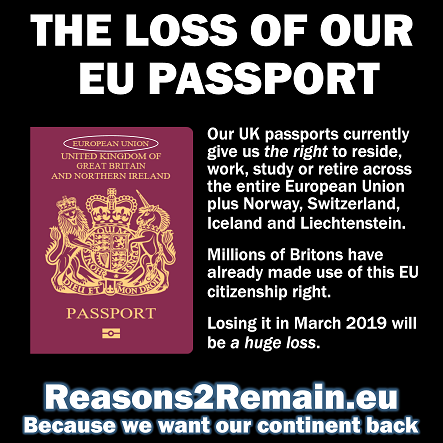 Why would we want to end such an arrangement, that gives all of us as European citizens the right to live, work, study, retire or do business in any other EU member state? Where is UKIP’s close-minded, restrictive policies going to end up? What’s going to happen to migrants who are diagnosed with a terminal illness after they’ve arrived here and started work? A country that closes the door on ill people could become a country that shows the door to ill people too. UKIP doesn’t want people here who might die soon? Does that include the elderly? Many British people have retired to Spain thanks to the direct benefits of EU ‘free movement’. British citizens living in Spain cost the Spanish health service £249 million each year. How would British people feel if Spain closed the door on British pensioners retiring there? Before Spain joined the EU few foreigners went to live there – then only 0.5% of the Spanish population was foreign born. Now it’s 10%. UKIP’s vision for Britain and Europe is not my idea of a modern, forward-thinking, dynamic future for our country and continent. I want to see Europe and Europeans working and living closer together, not further apart and estranged from each other. This entry was posted in Current Affairs, Democracy & Citizenship, Economics & Trade, Global & International, Law & Justice, Politics & Public Policy, The EU and tagged EU, European Union, free movement, ill people, migrants, Nigel Farage, terminal, UKIP. Bookmark the permalink. Next: Who do you think you are kidding, Mr Farage? Maybe if people realised Farages hero is Enoch Powell, we would not waste so much time with this racist. Time he was truely outed!! It is a simple question of whether our NHS is a National Health Service or an International Health Service. We cannot provide free health provision to anyone capable of getting a plane ticket and a tourist visa, we do not have the staff, beds or money to do so. There is evidence that young European citizens pay a positive net tax contribution to the UK, what I have yet to see is a study that includes in work benefits in the net contributor analysis, having a large number of minimum wage imported citizens that contribute minimally (and soon not at all) in tax, whilst simultaneously having the right to claim in work benefits, such as housing, child support etc cannot make sense, perhaps why the figures are so hard to find. What I think also should be considered is that our youth unemployment figures, whilst not as bad as within the Euro Zone, or Hubris Zone as I prefer to think of it, are distressing. Job opportunity prospects for young British working class kids have been decimated, it is obvious why, it makes perfect sense for a large multi national company to employ a Polish University Graduate for a low paid job, knowing that the British tax payer will top up the minimum wage in the form of in work benefits, than to employ a poorly educated young Brit. I don’t blame them for that, I blame Gordon Brown who put in place the in work benefit system, the fools who thought that free movement could work in a sub continent with wildly differing economic circumstances, the economic cretins who believed that economic union under a common currency could be achieved without a central political union and specifically obviously smart people like you that attempt to justify this nonsense. The European Union is a customs union, a 19th century construct that thankfully died in an era of globalisation and free trade, it is the only customs Union that I know of, certainly the only one of any size. It is advocated for nowhere else in the world, and for very good reason. Only the EU attempts to breathe air into this corpse of backward thinking. The currency zone is nothing short of a disaster, lurching from chaos to stagnation and shortly I suspect back to chaos. A common currency amongst states can work, the USA is a confederation of states sharing a currency, so rich California supports poor Alabama, it works because there is a federal government that is accepted by the citizens as their government. The EU does not have that acceptance, nor is it ever likely to do so, it would require massive changes to the concept of sovereignty needing treaty changes and the re introduction of the EU Constitution. It would therefore require referenda in countries across the EU, the last time this was attempted it failed dismally, France, Holland and Ireland were subjected to the argument for an EU constitution, in each case it was decisively rejected, Britain would have followed, I suspect even more decisively. And this was before the financial crash of 2008 when European citizens were considerably better disposed towards the EU project than now. In short the currency is doomed, the president of the EU can rail against what he considers Anglo-Saxon forces as much as he wishes, the facts are facts, the markets sense weakness, they will destroy the Euro, because that is what they are paid to do, had the Yen the same inherent weaknesses built into the construct the same would happen to Japan, the euro zone is not exempt from the market. In the mean time it is the Southern Nations of the Euro Zone that will suffer, living in Portugal as I do let me tell you, the suffering exacted on the Portuguese is enormous, with no discernable end in sight, the Euro Zone unlike the rest of the world has not rebounded from the crash of 2008, stagnation at best, crisis always on the horizon, why? Regardless of tomorrow’s General Election in the UK the referendum on Britain continuing to remain a member state of the EU will occur, and the arguments for remaining a member are far from convincing, perhaps the reason that the promise of a referendum is so often given, yet so often denied. I am pretty certain Nigel Farage has never declared that Enoch Powell was one of his heroes, do you have a source for that? Perhaps he should be, to me he certainly is, far sighted and brilliant, without him Thatcherism as a politic could not have been imagined. Ponder on this excerpt from one of his speeches. …when the empire dissolved…the people of Britain suffered from a kind of vertigo: they could not believe that they were standing upright, and reached out for something to clutch. It seemed axiomatic that economically, as well as politically, they must be part of something bigger, though the deduction was as unfounded as the premise. So some cried: ‘Revive the Commonwealth’. And others cried: ‘Let’s go in with America into a North Atlantic Free Trade Area’. Yet others again cried: ‘We have to go into Europe: there’s no real alternative’. In a sense they were right: there is no alternative grouping. In a more important sense they were wrong: there is no need for joining anything. A Britain which is ready to exchange goods, services and capital as freely as it can with the rest of the world is neither isolated nor isolationist. 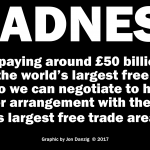 It is not, in the sneering phrases of Chamberlain’s day, ‘Little England’…The Community is not a free trade area, which is what Britain, with a correct instinct, tried vainly to convert it into, or combine it into, in 1957-60. For long afterwards indeed many Britons continued to cherish the delusion that it really was a glorified free trade area and would turn out to be nothing more. On the contrary the Community is, what its name declares, a prospective economic unit. But an economic unit is not defined by economics – there are no natural economic units – it is defined by politics. What we call an economic unit is really a political unit viewed in its economic aspect: the unit is political. However, the article suggests that Nigel Farage endorses the Enoch Powell speech, it provides no evidence to back up the assertion. I am pretty certain he has done no such thing, do you have a link supporting the fact, rather than a link suggesting he does. Had he dome so, from my point of you nothing in the speech would be indefensible, would you like to debate the speech, or continue accusing Farage of endorsing it. Please calm down, Roy Jacobs. I didn’t “accuse” Farage of endorsing the Powell ‘Rivers of Blood’ speech (I think that was another poster here). I just quoted verbatim from The Daily Telegraph. I have no idea if Farage actually supported that speech, although I do feel it was an inflammatory speech. I am generally pro-immigration and for sure support the free-movement of people across our continent (a vision promoted and endorsed by Winston Churchill during and immediately after the Second World War). As far as I know he has not endorsed the rivers of blood speech, nor has he placed his political position view alongside to that of Enoch Powell. I am happy to endorse Enoch Powell, much that he said is self evidently true, I am pretty certain Nigel Farage has never said the same, any evidence to dispute my view is welcome. Roy, I have not used the word accuse. Show me where? I have also never claimed that Farage endorsed the Powell speech, all I did was to refer to a Telegraph article which discussed Farage’s “admiration” for Enoch Powell. I have no other comment or evidence on this; for me, it’s not part of the current debate, especially as Farage is currently “on holiday” from politics. I don’t want this discussion thread to go off into a cul-de-sac, but to remain on topic. 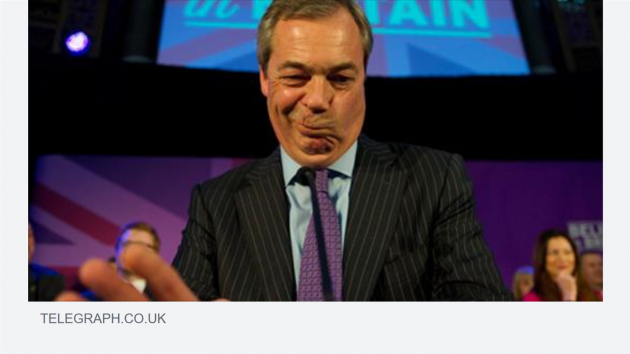 The article was about Nigel Farage wanting to ‘ban’ terminally ill migrants from the UK. Indeed, let us return to the issue. Are we as a nation contributing to an international health servic? Medical tourism is a lucrative source of income for the NHS and generates millions for our health service, according to a major research study conducted by the London School of Hygiene and Tropical Medicine and York University. For example, the study revealed that in one year, Great Ormond Street children’s hospital earned £20.7m from foreign patients; Kings Hospital earned £7.9m and the Royal Brompton earned £7.4m. In fact eighteen hospitals – those deemed most likely to be making money from overseas patients – earned £42m in one year alone. Furthermore, medical tourists spent an estimated £219m on hotels, restaurants, shopping and transport in the UK. So ‘health tourism’, rather than being a drain, is a lucrative source of income both for the NHS and the wider economy. Regarding who is entitled to NHS care, people ordinarily resident in the UK are able to make free use of our NHS. So, for example, EU migrants who are settled here, have passed residency tests and are genuinely and ordinarily resident in the UK, can use the NHS without charge. The rest have to pay. A recent report by UCL showed that EU migrants here made a net contribution – net – of over £20 billion to our treasury over the past decade, taking into account use of public services and receipt of benefits. In other words, EU migrants here are making a massive contribution to our economy, to our pensions and to the servicing of our national debt. When people realise that without EU migration the country – and its citizens – will be poorer, maybe the view of migration will be looked at more positively. I know Nigel Farage has said he is not against migration so long as the numbers are reduced and we can select who comes here, but actually, if we put up too many barriers to people coming here from the rest of Europe, they may just go elsewhere. Of the 107,800 people estimated by Public Health England to be HIV positive an astonishing 59,300 are originally from Africa. The cost to the NHS to treat just them alone with anti-retrovirals would be £1,186,000,000 per annum – and the numbers are rising. Such is the alarm at the cost that 20 Tory backbenchers (including former NHS GPs Dr Sarah Wollaston and Dr Phillip Lee) tried unsuccessfully to amend the Immigration Bill to make it law that before new immigrants enter the country, they must prove they are not HIV-positive and not suffering Hepatitis B – an equally devastating illness that is also incredibly costly to treat. The same demand that Nigel Farage made and George Osborne refused “to dignify with a response“. What Farage was saying is that it is ridiculous for the National Health Service to morph into an international Health Service simply because Progressive thinking folk like showing how much they like black people. A genuine question Jon on the UCL report, do they include in work benefits, it appears not? I have spent most of my life living and working abroad. USA, Hong Kong, Singapore, China, Switzerland, the beauracracy involved is minimal, less than a day once a year. In principle I don’t have a problem with the free movement of people within the EU. For many years it worked very well, the Community was comprised of countries with similar economic conditions, similar health care and education provision etc. It provided an opportunity for people to work abroad if their own home countries economy was in recession, and for Europeans to intermingle more with each other, all this is a good thing. Two things have changed, the first is EU enlargement encompassing previous communist block countries, second the collapse of economic activity in almost all of the euro zone bringing with it youth unemployment in a scale never before seen. As the countries of Europe that have growing economies are very small, (and almost exclusively outside the Euro, a coincidence Jon?) they are experiencing very large numbers of migrants, that require homes, schools and healthcare. As the forecasting of numbers has been so abjectly poor, no provision was made for this, which has put huge strain on infrastructure. Concurrently, within the UK the number of people aged 16-24 who are not in full-time education or employment has increased by 8,000 over the last quarter. With 498,000 in that age group without a job, an analysis by the House of Commons library for Labour shows that young people now fare comparatively worse than at any point since 1992. Since 1992 the UK population has increased by 7million, chiefly due to immigration. It is not a coincidence that very high rates of EU immigration has led to horrifically high rates of British youth unemployment, it is over 14%. Logically your view has to be that having huge numbers of British kids idling on benefits, a lost generation, is an acceptable cost of unrestricted movement. Fortunately, UKIP only has one MP – a 50% reduction on its previous number – so its inhumane, racist and, in my view, disgusting policies on wanting to deny accessible free treatment to people living here with HIV who were born abroad will not be implemented. A rule change in October 2012 extended the right to free HIV treatment to all overseas visitors regardless of nationality, including asylum-seekers, students and tourists, bringing HIV into line with diseases such as meningitis, tuberculosis, cholera, food poisoning, and malaria. The change was defended by the coalition government on the grounds that it was essential to protect public health and prevent the spread of HIV. It was argued that free treatment encourages testing, reduces levels of late diagnosis and the spread of infection, and costs the taxpayer less in the long run. I believe this is the right policy and I abhorred Mr Farage’s comments during the ‘Leaders Debate’ when he spoke against free treatment of foreign-born people here with HIV. (Incidentally, ‘foreign-born’ does not necessarily mean that those patients are not British). However the third party by votes in the UK, which is a much more relevant figure. It does make me chuckle when I hear the word racist thrown around in a debate such as this, it signifies that the person I am conversing with is still of the belief that calling something or someone racist closes the debate, it is the magic word. I am afraid it has no mystical powers. I strongly suspect that the outrage which you seem to share was because it was HIV, and HIV is in the UK predominately a disease within the gay community. And of course in their condescending manner, progressive thinkers have decided that the gay community belong to them, and need to be protected. In Africa HIV is not found within the gay community, predominately within heterosexual men. Let us move along, you would like to see Africans who have contributed nothing to the NHS arrive on a 6 month tourist visa and be treated for the rest of their lives courtesy of the British taxpayers, because it makes you feel good. So how about Hepatitis B, another disease that takes a very long time to treat and requires many visits to doctors, where very expensive drugs are needed for ever, should the poor souls suffering from this, wherever they live, anywhere in the world also be treated at the expense of British taxpayers? Does that you feel even better? The figures for this are even more shocking than HIV where let us not forget over half those being treated are not British. Or how about, pregnant women from Nigeria, arriving in late stage and receiving excellent medical care at the British taxpayers expense. Professor J Meirion Thomas, of the Royal Marsden Hospital in London, has said that the flow of West African women flying in to give birth for free at Guy’s and St Thomas’ NHS Trust, was so common it was referred to by staff as the ‘Lagos Shuttle’. Labour MP Kate Hoey, whose central London constituency includes both hospitals, says health tourists head straight to St Thomas’s, across the River Thames from the Houses of Parliament, from Heathrow Airport “with something they knew perfectly well they had before they came”. I imagine you think this Professor and a Labour MP are also racists. Your argument for this is nonsensical, but I am sure it makes you feel all warm and fuzzy because you are so much kinder than me. Those who are not entitled to free NHS care should pay for it, and the NHS has an entire department devoted to policing this. If they are not implementing the rules properly, clearly this should be improved. I believe that the previous coalition government was right to argue that denying treatment to foreign-born people here who are HIV positive, would simply drive the disease underground and expose citizens to a greater risk of infection, costing much more in the long-run. In addition to that, I believe it is both racist and xenophobic to deny any residents and workers here NHS treatment simply because they were foreign-born. Many of those people will be long-term residents and workers with full entitlement to NHS care. As reported by FullFact, both the number and proportion given by Mr Farage were inaccurate, and the data available records country of birth, not nationality. The number of people newly being diagnosed with HIV in Britain was 6,000 in 2013. It hasn’t been as high as 7,000 since 2008 and it has been steadily declining since a high point of 7,900 in 2005, according to figures from Public Health England. The Public Health England data is not able to tell us about the nationality of those diagnosed. It records ‘country of birth’, which is not the same. Boris Johnson, for example, was born in America, but he is still a British national. Of the 6,000 people diagnosed in 2013, 2,292 (38%) were born in the UK; 2,688 (45%) were born in the rest of the world; and the birthplaces of 1,020 (17%) were not reported. Of those whose birthplace was reported, 54% were born outside the UK. That is the nearest that the figures seem to show to the claim, but it masks the uncertainty of the 17% whose birthplace is not reported. The proportion of those newly diagnosed with HIV who were born outside of the UK has been steadily falling since 2004. So the proportion of people diagnosed with the virus who were born in Britain has actually been increasing over the same period. The problem Jon is that only 14% of the costs incurred in treating people who have no right to use the NHS is recovered. Much is not charged, and that which is invoiced I sun payed. Roy, I agree with you it’s an appalling state of affairs if the NHS is only recovering 14% of the costs incurred treating people who have no right to free NHS treatment. That’s a situation that should be remedied. However, EU migrants resident here are paying taxes and national insurance contributions and have every right to use our NHS in the same way as native Britons. We should not be blaming them for the inadequacies of our political masters to put in place the mechanisms to collect all the fees from people who should pay. 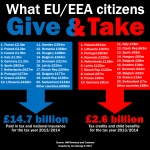 In the past decade new EU migrants coming to Britain contributed net to our Treasury around £20 billion, whereas during the same period British people took out more than they gave to the Treasury – to the tune of £617 billion (minus). Those EU migrants are actually helping to keep our NHS afloat. Jon, this has very little to do with our political masters. The NHS was set up to be free at the point of need, it is not designed and does not have the capacity to vet and bill, it would require a major reorganisation and vital funding to set up the infrastructure in hospitals and GP surgeries across the country, it would probably also require the introduction of ID cards, not a bad thing perhaps, but expensive and controversial. Far better to insist that medical insurance is required for entry to the UK on tourist visas, simple to introduce and quite normal in many countries. Why you bring up EU citizens I have no idea, your original post had nothing to do with them. Roy, my entire original post was about migrants here from the European Union. The NHS makes hundreds of millions of pounds from foreign visitors; to stop that would be to take away a vital source of NHS income. I already pointed this out in an earlier reply to you. I believe that people who are not entitled to NHS free care should pay for it, and this needs to be more stringently enforced. But to deny NHS care to legitimate foreign residents and workers here would be crude and racist. In any event, the cost of providing NHS treatment to foreign nationals is relatively small. When an answer was given to the House of Commons by then Health Minister, Anne Milton, it was revealed that the audited losses to the NHS for these costs came to just less than £7 million in 2009-10. That’s a tiny fraction of 1% of the NHS annual budget. We seem to be going around in circles on this discussion as many of these points were already discussed at length in earlier replies to you.